457 pages | 187 B/W Illus. 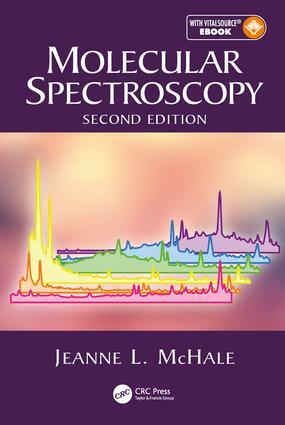 "This text is uniquely valuable because it presents the linear and nonlinear spectroscopy that is most relevant for exciting condensed phase molecular systems"
"This book provides a solid treatment of the foundations of spectroscopy and applies it to modern topics"
Jeanne L. McHale is Professor Emerita at Washington State University, where her research is devoted to the study of molecular aggregates and nanomaterials relevant to solar energy conversion. She is a fellow of the American Association for the Advancement of Science and the author or coauthor of more than 100 publications. In addition to Molecular Spectroscopy, she co-edited the Handbook of Luminescent Semiconductor Materials with Leah Bergman, published by Taylor & Francis in 2011.